Join us for a Family Run and Pancakes! Fall is coming and so are the cool mornings. 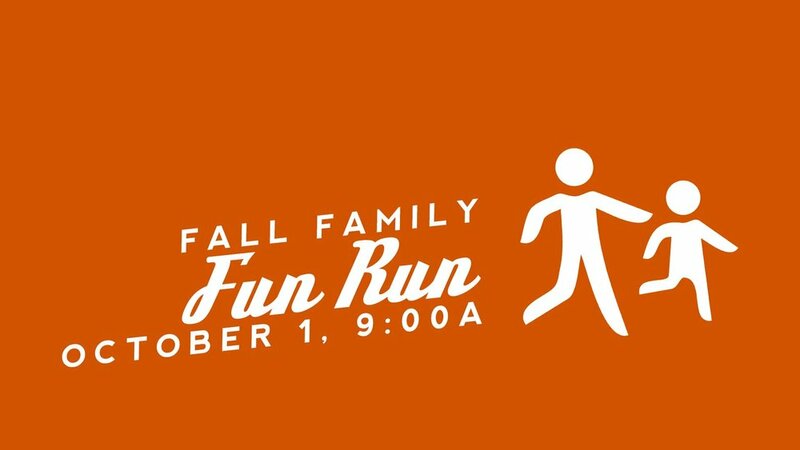 Join us October 1st for a fun and gentle family race. The race will take place on the church grounds, around the parking lot (about 1/2 a mile) and will be over before you know it. There will be an option to run a full mile if you want. Immediately following the race will be a pancake breakfast the whole family will enjoy! 100% of the proceeds will benefit our Preschool playground campaign. Packet pickup will be held on Friday, September 30th from 12:30p–1:30p in the Preschool Hallway or race morning starting at 8:30a. Registration Fee: $10 per person or $35 per family of 4. Click Here to register online. If registering a family online, click on Multi-Person Pricing. If registering through paper forms, please make checks out to Navarre UMC Preschool and drop off your registration forms in the race registration box next to the Preschool office. Please make sure you have your registration, payment, and waiver filled out and together before dropping into the box at the Preschool. Registration price includes race bib, goody bag, pancake breakfast, and drink. If you do not wish to participate in the race come enjoy the pancake breakfast for $5 per person. Don't forget to share on Facebook that you're going! Fill out this form if you have questions about the race or would like to volunteer.